Tottenham midfielder Christian Eriksen is convinced his side remain title contenders despite trailing Premier League leaders Chelsea by 10 points. 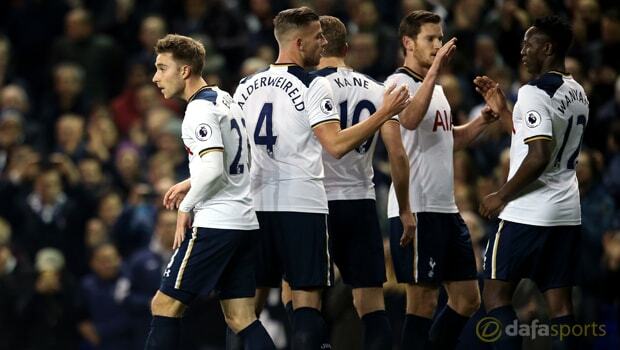 The White Hart Lane side pushed eventual champions Leicester all the way last season before succumbing late on and finishing third. While they lost to Chelsea at Stamford Bridge last month, and also to Manchester United at Old Trafford since, Eriksen felt Spurs showed enough against Antonio Conte’s men to suggest they are genuine title contenders. “If you watch the first 44-and-a-half minutes of the game at Chelsea, I think we did very, very well. We showed we can compete with them,” he told Sky Sports. “It’s not like you can say ‘Oh they are much better’.” Tottenham sit in fifth place over Christmas, one point behind north London rivals Arsenal in fourth. Eriksen says it is vital that they keep pace with the teams above them in order to stand a chance of improving on last year’s effort. The 24-year-old remains satisfied with his own form, having netted a brace in the recent win over Hull City. The Dane says people can be too quick to judge his form, one way or another. “It’s funny how football goes,” he added. “The season started and I did well and after a few games people turned and said ‘Oh it’s bad’ and now people say ‘It’s the best season ever’. “When the team is playing well then I am playing well. I am feeling very confident in the stuff we are doing and it’s always good to help the team with some goals. Tottenham are 26.00 to win the Premier League this season and 2.25 to finish in the top four.